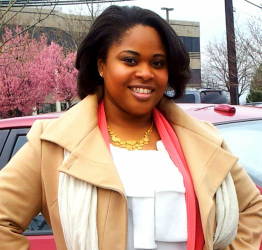 In 2008, Monique relocated to the Washington, DC area to work for DB Consulting Group, Inc. With this new endeavor, Monique worked as a Project Coordinator on the Department of Housing and Urban Development's (HUD) Neighborhood Networks Initiative. In this role, Monique traveled throughout the country (Puerto Rico, Illinois, Michigan, Massachusetts, Florida, Montana, and Colorado) providing technical assistance, professional staff trainings, workshops, and presentations to staff of nonprofits, staff of computer learning centers located on HUD-assisted multifamily properties, and HUD staff. Trainings were in the areas of: partnership development and maintenance; tracking and evaluation; grant-writing and fundraising; business planning; organizational development; marketing and communications; and 501(c)(3) tax-exempt status preparation. Monique was known to provide quality, personalized services that would enhance current organization programs of clients, while working with staff to implement strategic planning while developing streamlined processes to improve their daily organizational capacities. This afforded Monique the opportunity to work one-on-one with organizations and professionals to cultivate and nurture professional working relationships, while conducting impact, vulnerability, and performance assessments to develop effective organizational solutions. In 2013, Monique took her nonprofit and program management experience to work with the Chicago Housing Authority in Resident Services, where she currently provides strategic oversight management to several contracts valuing over $1.4 million dollars. In addition to being a nonprofit professional, Monique also has over four years experience in human resources, staffing and recruitment. From 2005 - 2007, Monique supported the human resources department of an international television network in the DC Metropolitan area in a generalist capacity. While serving as the Nonprofit Partner Outreach and Development Manager with HandsOn Greater DC Cares, Monique engaged in a hands-on recruitment role to develop her staff of employees to fulfill community development initiatives throughout DC. In 2012, Monique took on a recruiting role with a well-known, international nonprofit organization working one-on-one with college students and recent graduates to prepare them to be placed in full-time internship and employment opportunities with Fortune 500 companies. In 2011, Monique embraced her entrepreneurial spirit and embarked on a new business venture, Caston Career Development Solutions, a resource for job seekers looking to enhance their professional brand through resume reviews, social media, and online networking on a budget. Monique currently works with professionals providing one-on-one consultations in the Chicago-land and DC Metropolitan areas to provide thorough resume assessments, in addition to conducting job searches catered specifically to their skill sets.